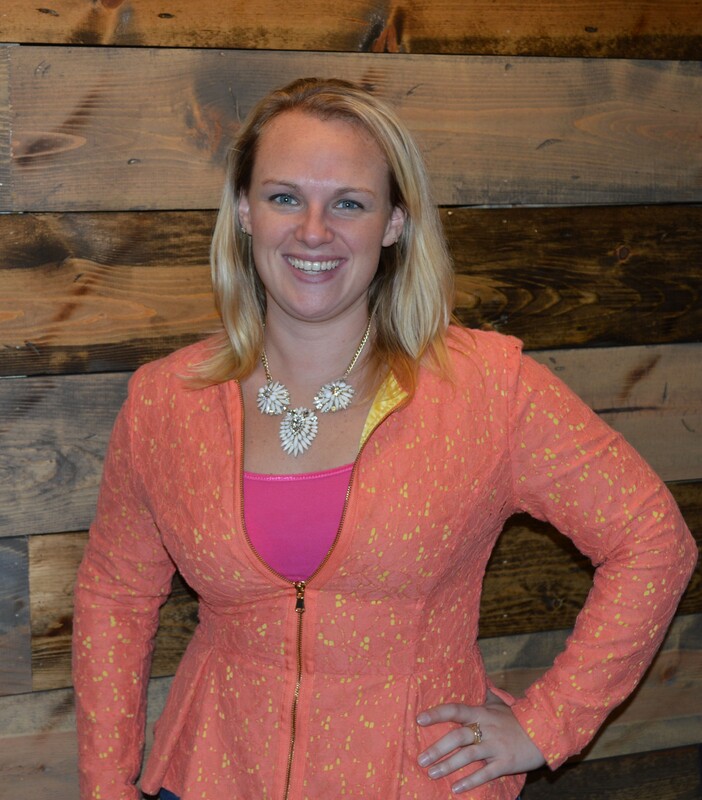 Raegan Porter is a Registered Interior Designer with a diverse background in recreation, municipal, educational and contract design. 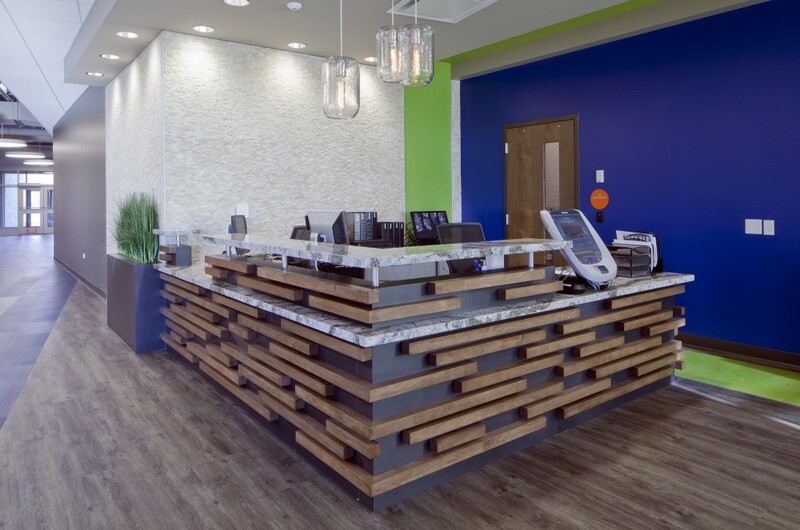 She is the Municipal Interior Design Leader for FGM Architects located in Oak Brook, Illinois. Raegan has a unique ability to understand her client’s needs and incorporate them into creative, functional space plans. Through space planning, materials, furniture, lighting and art work, she brings her clients vision to life. Her goal for clients is to create an overall experience for the communities using her spaces. She states, “I often judge a space on how it makes me feel. I want to create exciting spaces that make people feel good.” Modelo spent some time learning about what inspires Raegan and about her current role at FGM Architects. My mother and grandmother were a big influence on my love of art and design and my decision to become an Interior designer. My mother had intended to go to Art school in Atlanta in the 1960’s but, due to the rioting happening at that time, her family decided it was best she didn’t go. But she still had a love of the arts and always encouraged my creative side! My grandmother was a painter and creative in every sense of the word. My cousin and I, who are very close in age and in spirit, spent many hours with our grandmother playing games that involved creative thinking and design. The three of us would dream up designs for our future homes and weddings. Both my cousin and I decided at that young age that we would be designers. And there was no turning back! I feel very lucky that I knew so early in my life that Interior Design was my calling! Since I can remember I have had a LOVE for color. Some of that comes from my mother and aunt who also have a love for color and art. Being immersed in that from an early age has most definitely contributed to my love for color and dramatic environments. For a while I freelanced at a firm that did more commercial interiors and was introduced to this idea of branding environments, this idea was fascinating to me. After some research I found it was a concept that made so much sense to me. It can help increase the client’s bottom line, so why wouldn’t they want to use their environment for marketing? Designing a space to embody the client’s brand is something that I am always trying to achieve. It is in my nature to want to help, so if I can help a client have a competitive edge or help the impression of a client to the public I am happy. I also believe that all the adventures that I encounter in life have an influence in different ways whether it’s dance, fitness, painting, teaching self-defense or my passion for giving back. All of these have an effect on who I am which I know in some form shapes how I design. I started with FGM right out of college. My lighting professor in college put me in touch with a gentleman who did a critique in our class. He was a project manager at FGM and that’s how I got connected to interview. In the early days I learned functional and durable design as well as how to be creative on a budget. We learned fundamentals in school but the early years of working are where you really learn. A majority of the buildings that we work on are public facilities that will be around for a long time, not to mention the abuse of a 24/7 facility. The functionality and durability are critical. Budget is key so it is critical to find durable inexpensive materials or reinvent standard materials. It’s easy to find really interesting materials when you have a large budget but when you are forced to reinvent materials on a tight budget the real creativity happens. That’s a talent I have learned at FGM that I wouldn’t give back for the world. With the down turn in the economy I was laid off after about two and a half years. I went on to work for a furniture dealership and had my own company doing design. In 2014 I knew FGM was looking for someone to head the Interior Design for the municipal practice area so I reached out and interviewed. Coming back and working the second time around I am truly grateful for all that I learned while I was away. There are talents and lessons I have learned I may not have had otherwise. Those are invaluable tools that I got to bring to back to FGM with me, making me a better designer for FGM and our clients. To this day I am still learning from the amazing team of people that I get to work with every day and continuing to evolve in my approach. In each project I try to create an overall great experience for those using or visiting the building. We spend so much of our lives now stressed and busy. I try to create environments that welcome you in and give you a “WOW” moment. Designing the clients’ space to embody their Brand. Designing healthy functional environments for the client. My role as the head Interior Designer of the municipal practice is multi-faceted. One day it could be…who am I kidding one hour it could be marketing then project management, design or drawing. It just depends. I work hand and hand with our Head Design Architect Louise to come up with the design direction on each project. Then for the interiors I work with our team giving design direction for them to implement. However, I must say it is a team effort! The whole municipal team is very collaborative on all aspects of a project. We breathe energy and life into our built environments that can’t be duplicated. A great example of this is a project that was just finished a year ago, McHenry Parks and Recreation. The use of natural materials with vibrant colors gives you this great warm energy right as you walk in the door. Many of the community members have been quoted saying “wow I wasn’t expecting that” with a smile on their face and eager to see what the rest of the facility looks like. We have an understanding of our client’s profession which allows us to help when planning and listening to their needs. 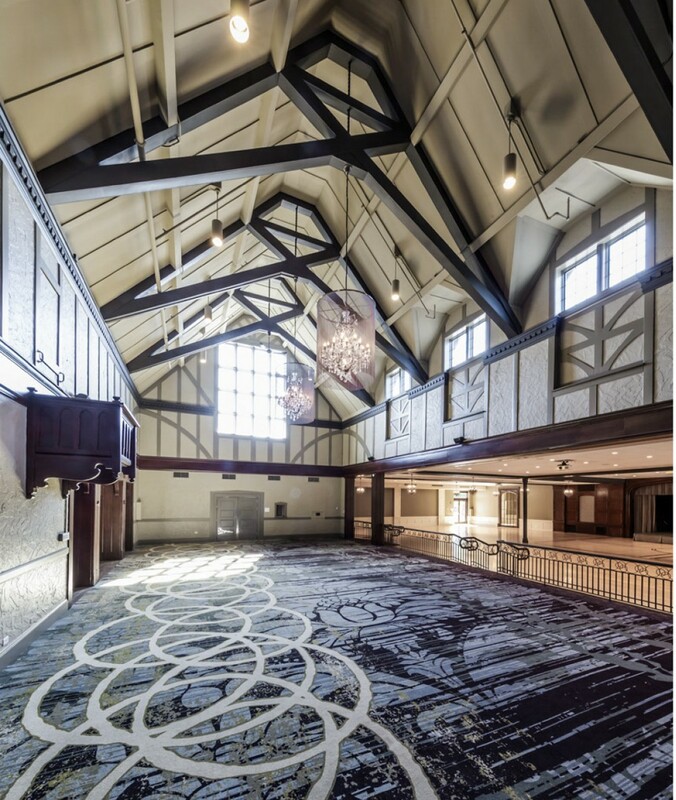 Another project that is a great example of this is Chevy Chase Country Club in Wheeling, Illinois. It was an addition renovation. After listening to their needs and studying the space, it was clear that the traffic flow needed to be more efficient. We added an event room for weddings and corporate events that seats around 200 people as well as a new pre-function and sales office. Moving the pro shop off of the gable room so that golf is separate from the event spaces helped tremendously. This is also a great example of how an interior renovation of a space can affect your bottom line. The new space has been open for only a year and bookings are already up. Currently we are compiling the data for a case study and it is looking very positive. FGM is a firm that is standardized on Revit which has taken designing to a new level. It is always a struggle to be able to provide 3D modeling to help clients visualize while keeping cost down in order to meet budgets. Revit allows us to provide a 3D of the space while part of that time is still working on the construction documents. 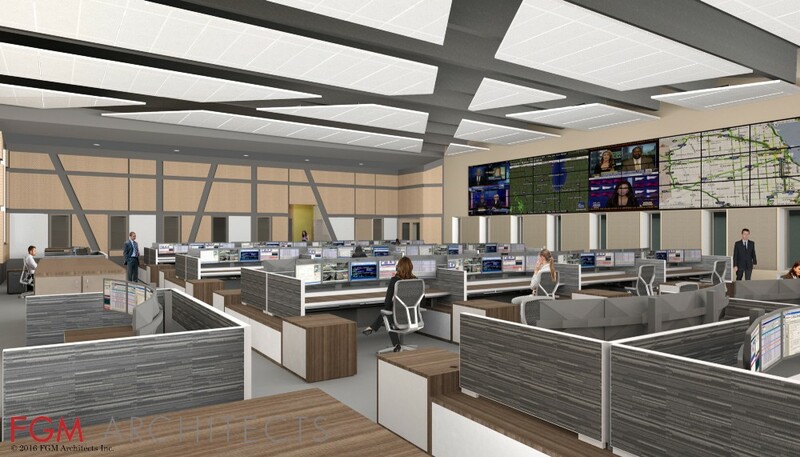 A great example of this is a project that is currently under construction for Addison Consolidated Dispatch Center in Addison, Illinois. The space is designed to reduce stress for the employees taking into account the way light is used and sound levels. There are a lot of natural materials used with accents of blue and green. Revit allow us to show the client what there space will look like and the ability to tweak things before even building the space. There is a plethora of design software to choose from. It amazes me how far we have come in the past ten years, it makes it so much easier to convey a design or space to a client that may not be able to envision the creation. Designers are always pushing the limits and that is something that will always continue. Where we need to spend more time is really educating the general public on what we do and the benefits of our profession. We don’t just pick materials and colors. Although I love that it’s really is only about 5% of what we do. Honestly I don’t know how our industry will evolve moving forward. We have seen so much change in the past ten years with the recession, inventions in technology and political climate. I do believe it will be positive change filled with its own exciting puzzles to solve. I would say to myself: network, network, and network! You never know where something will lead.